After Prototype 5, now, even the Prototype 3 is being wrapped. The third Prototype used for the C9 project development is one of the Huayra which was driven more often by the Pagani Official Tester. 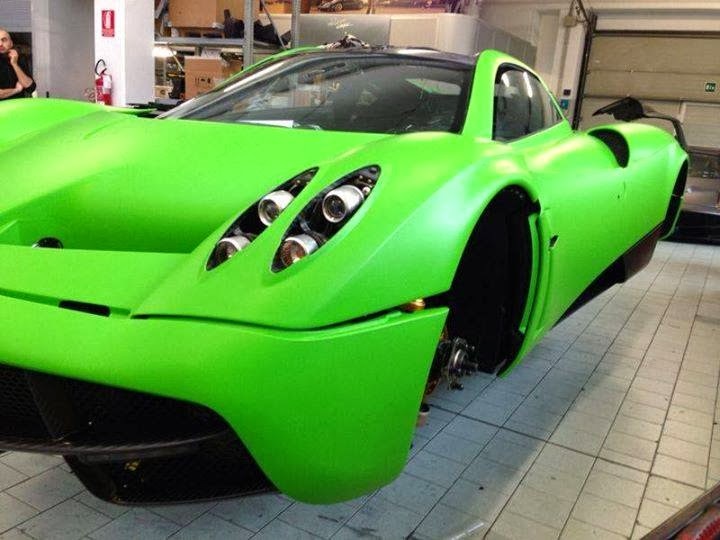 The car is being wrapped according to Davide Testi tastes by Car Wrapping Milano. The brake calipers have been painted in green and maybe even the cockpit will be restored. I can't wait to see the work completed!